2018 Routledge: London, 526 pp. Anyone interested in the fundamental issues confronted by computational approaches to mind will find this collection indispensable. Packed full of penetrating and insightful analyses from expert contributors, it not only perfectly captures the history and the current state of this important field, it helps set the agenda for its future. 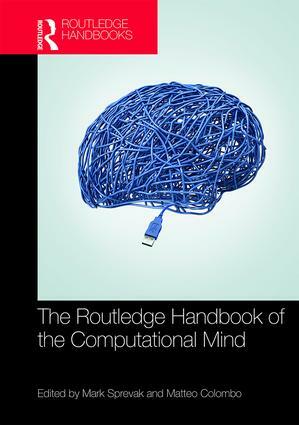 This Handbook offers an unparalleled guide to navigating the world of computational cognitive science. It is a timely reminder of why cognitive science needs philosophy: our empirical claims are only as good as the conceptual frameworks that undergird them. This excellent book will be the foundation of myriad university courses. Particularly impressive is the way that many of the chapters adopt an approach that is informed, but never overwhelmed, by philosophical reasoning. This makes the book an incisive and informative read. This is an indispensable resource not only for understanding the strengths and weaknesses of the computational view of mind, but for understanding exactly what that view is. This is the place to go for the clearest, most up-to-date expositions of the key claims and concepts concerning the computational mind.